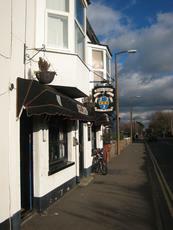 A good standard traditional English pub, worth the trip from town. 6 pumps with a selection of beers. Reasonable standard . Have been in Worthing a bit recently and am likely to be much more for some time. 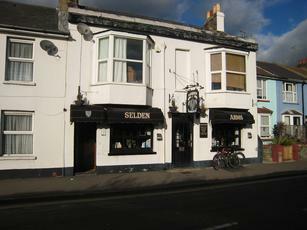 Used to visit this pub regularly in the late '70s and occasionally since. Still a good pub for beer but looking rather sad inside. Am trying to find a regular drinking venue in the area, sadly because it still has a smell although much less so than in recent years, and because of the 'feel'of the place, it will not be here. A great shame as the beer is in good condition and served at the correct temperature. Came in on a Saturday evening and the pub was very busy, most customers seemed like locals, the atmosphere was good and the beer choice was excellent. There were 6 in our group and I think we all had something different. The pint of Mild I had was decent, but not the best, though this was the drink and not the way it was served. Good photographs of the Worthing area adorned the walls all in all a very nice and pleasant pub and now comes the bad bit....what the hell is going on with the smell ?? The previous review to mine is from June 2012 and the smell was mentioned then. It smells of bad drains and how the locals / regular's don't notice it god only knows. All 6 of us commented on it and ultimatly it made us the leave the pub for the Swan. If ayone from the pub reads this please do something about the smell. I only visited Worthing once a year on average but there were locals in my group and they won't be returning while the smell persists.